intimidation and harassment. The Editor has since left Ethiopia. One of Ethiopia’s best-read non-government weekly newspapers has shut down and three of its senior staff have fled the country. The editors of Addis Neger say they have faced a government campaign of intimidation and black propaganda. The closure of the Amharic-language newspaper, known for its lively discussion of political issues, comes as campaigning heats up in advance of next May’s parliamentary election. Read more. Addis Ababa — It was one of the few remaining independent voices in Ethiopia. But one by one, the editors of Addis Neger have quietly slipped out of the country, fleeing from the imprisonment that they expected at any moment. The warnings were increasingly ominous. Criminal charges were being prepared. Staff were threatened. When editor-in-chief Tamerat Negera was publicly denounced as a “nihilist” and “anti-establishment,” he knew exactly what it meant. “It’s time to pack,” he said grimly. Read more. ADDIS ABABA – A leading Ethiopian newspaper said Friday it had closed down as a result of months of government “persecution and harassment” against its staff. “This is the culmination of months of persecution, harassment and black propaganda by the Ethiopian government on Addis Neger,” the name of the paper launched two years ago, said executive editor Abiye Teklemariam. Addis Neger, a weekly newspaper often critical of government policies published its last edition on Saturday before some of its staff fled the country for fear of arrest. 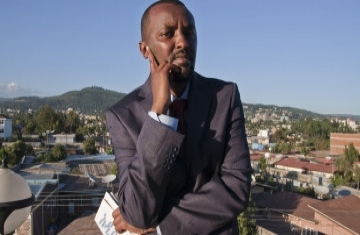 “Three of Addis Neger’s editors left the country this week after the paper learnt that the government was preparing criminal charges against its top editors, reporters and owners based on the new anti-terror law and the criminal code,” the paper said in a statement sent to AFP. Read more.